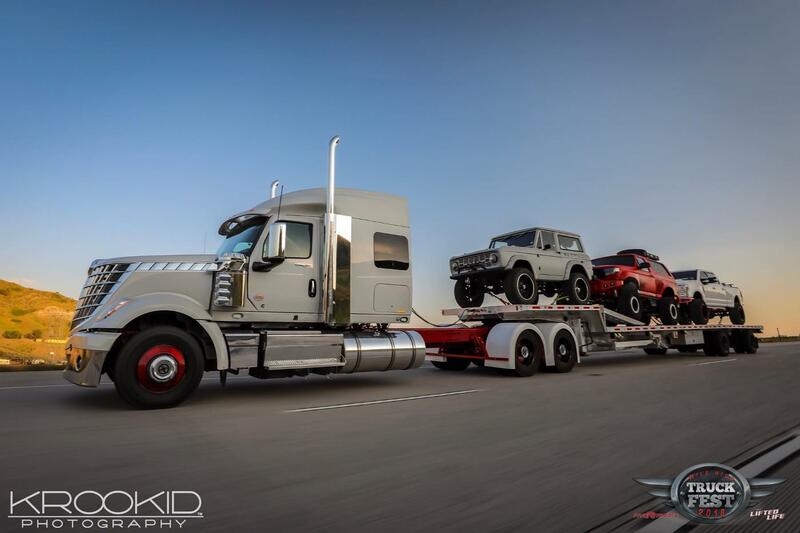 More than four decades ago, Steve Hill founded Five R Trucks, a tremendously successful Golden, Colorado -based business dedicated to custom, world-class four-wheel-drive trucks. Now featured on The Velocity Channel’s Lifted Life reality show, Hill now promotes his specialized creations all over the country. His tractor trailer runs on ATX wheels from American Racing. Like every Five R Trucks’ project, they’re built for the long haul with a design that looks as mean as it is tough. Hill and his team build customized Chevy, Dodge, Ford, Jeep, Nissan and Toyota 4X4s. They upgrade stock trucks with larger or double tires, massive bumpers, big motors and custom interiors, plus killer paint and graphics. They do chrome, gloss, matte and tinted design executions, all wrapped around upgraded mechanicals for incomparable show and go performance. Five R Trucks ship their creations all over the planet and their vehicles are regularly featured on the covers of the industry’s most popular trade magazines. The company, via the added publicity gained from Velocity Channel’s Lifted Life TV show, is now known and respected as the world’s premier 4X4 build resource. Eventually, he agreed, and both cast and crew say this is one of the most “real” reality shows they’ve witnessed. Unlike some manufactured series, designed around bickering personalities, this one documents an actual process. The soft-spoken, unpretentious Hill, 59, was born and raised in Golden at the trailer court where the Days Inn sits. “My dad planted one of those trees that are still there,” he said, pointing. Hill started selling trailers before he was out of high school and that business evolved into Five R. He launched the custom truck shop in 1982. As his boys Jake and TJ grew up around the shop they became an integral part of the businesses success, and today Five R Trucks which now counts revenues of $10 million a year. At 88, Steve’s dad, patriarch Hubert Hill still comes to work six days a week. Jake and TJ are always working with the customers. The entire Hill family seem to find pleasure in their work and genuinely enjoy working with each other. “My dad told me, ‘No matter what you do in life, be happy at it,’ “ said Steve.